grazing and there is well-developed broadleaf woodland along the banks. Fish species present include salmon, trout (both brown and sea), eels and flounder. 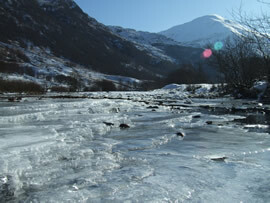 The Nevis has historically been fished for salmon and sea trout. Both stocks collapsed during the late 1990s and though salmon numbers have shown signs of sustained recovery, sea trout remain rare on the river. 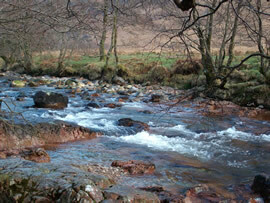 Fishing is available on the Nevis, day tickets can be purchased from the Rod & Gun (Fort William High St). 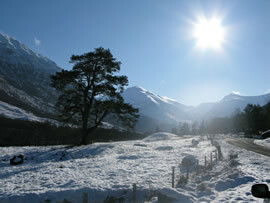 Glen Nevis is a popular tourist attraction and the river and its banks are regularly used by canoeists, walkers and cyclists.